I want to welcome Melissa Lemon to Books R Us. Melissa is touring the blogosphere with her novel Cinder and Ella . Thanks for stopping by. 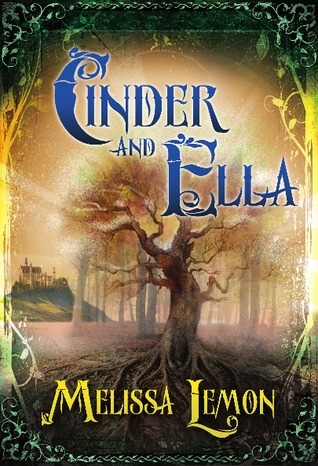 The story is very interesting and I liked the way Melissa split the character of Cinderella into two people. The novel is full of magic, princes, action and included an interesting legend about trees. Melissa did not just retell the story of Cinderella but made the story her own and added more excitement than the original story. There was no glass slippers, evil step-mothers or step-sisters but a family overcome with grief when their father suddenly disappears. The story flowed like a poem and I caught myself reading it aloud at times. My favorite character was the Knight Tanner and the way he interacted with Ella was quite amusing. Ella was stubborn, charming, real and not your typical princess. Cinder was quite opposite and I wish there was more of Cinder in the storyline. The way Melissa described the Medieval kingdom (The scenery, clothing and the people) made me feel that I was right there observing all of the action. This is a wonderful novel and I hope that Melissa continues to write in the future. Disclaimer: I was not compensated for my review.